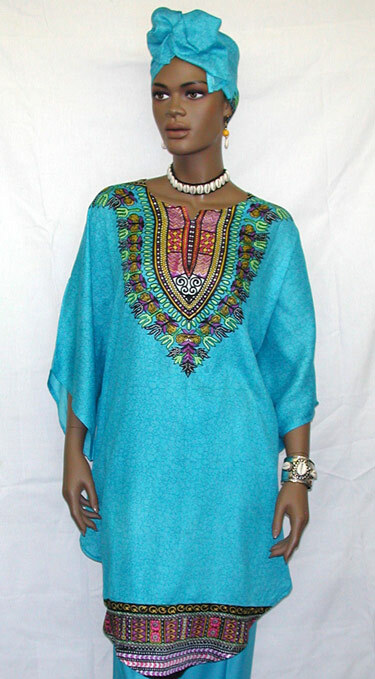 African Dress- Ethnic Swing botton short caftan with pants and matching headwrap. Available in all sizes and colors (Small - 4X-large). Fine Cotton and machine washable. Note: Pants sold saperately Perfect for all occasions. (Now! free shipping and handling). Please select your fitted swing caftan or pants Set size.